You'll need a container of some kind - a bowl, or plastic box - big enough for the retainer and then some. Put the retainer in and cover it with 3% hydrogen peroxide. Use enough hydrogen peroxide to completely cover the retainer. You'll want to do this at a time when you normally don't wear the retainer, such as while you are asleep. It's best to leave it in the solution for at least half an hour to an hour, and longer is fine. When you are ready to use the retainer again, just rinse it off with water. Throw away the hydrogen peroxide solution, or dilute it and feed it to your plants. 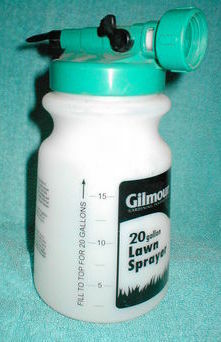 (See the gardening section of this site, or see this page for dilution charts for feeding your plants.) 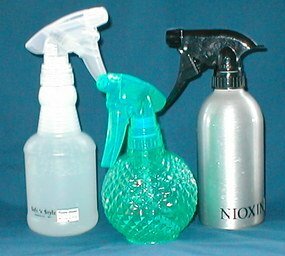 Some of oxidation potential of the hydrogen peroxide will have been used up by sanitizing your retainer, so it is not as strong as it was initially, but probably still has some power left in it. Cleaning dental retainers using hydrogen peroxide is easy, and it kills germs. This is such an easy process...... are you game to give it a try? If you try this out, of course you will want to notice whether your retainer is cleaner after using peroxide. Check and see. Does your retainer seem the same? or better? or worse? This is the real deal - do you notice a difference? Does it feel cleaner? Look cleaner? Smell cleaner? 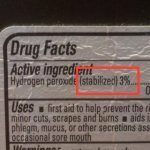 Do you notice less of a smell or taste of chemicals when you use hydrogen peroxide instead of whatever cleaner you've been using?